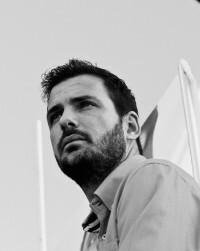 Eduardo Garzón (Logroño, 1988) has a degree in Economics and Business Administration and Management from the Universidad de Málaga and took the final year in Business Administration and Management at the University of Windesheim, in The Netherlands. He has a Masters in International Economics and Development from the Universidad Complutense of Madrid and a Doctorate in Economics from the same university. He is currently an economic advisor for the Municipality of Madrid and a Member of the Foundation for a Citizens’ Europe (IU) and the Scientific Council of ATTAC Spain. He regularly appears in media outlets such as eldiario.es, La Marea, El Jueves, Telecinco, TVE and La Sexta, and has created the economic blog Saque de esquina.